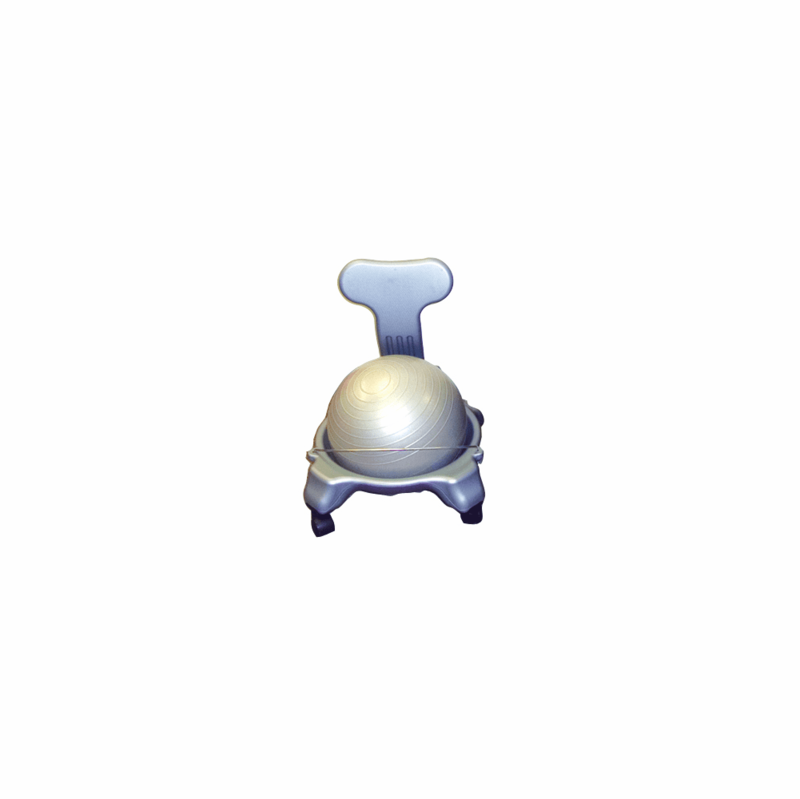 descriptionMetal ball chair without arms. The mobile ergonomic seating system combines the benefits of ball therapy with the convenience of a chair base. The ball is held securely in place by the base design. The plastic chairs are height adjustable by inflating or deflating the ball, and come with a removable back. The plastic chair comes with or without arms. All ball chairs come with ball and locking casters.